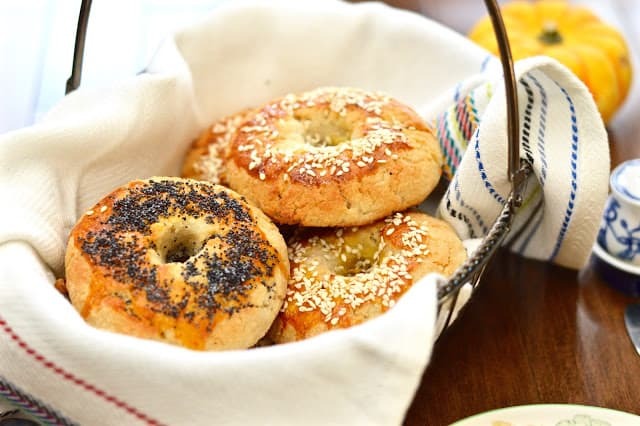 Grain free bagels. Have I caught your attention yet? I hope so. Because today I am lucky enough to share the bagel recipe from the new cookbook, Without Grain by Hayley Ryczek . Plus I will be giving you a review of this awesome book. Honestly, beyond the friendships I have made, one of my favorite parts of blogging is getting to review cookbooks. You can never have too many in my opinion. So what is Without Grain? 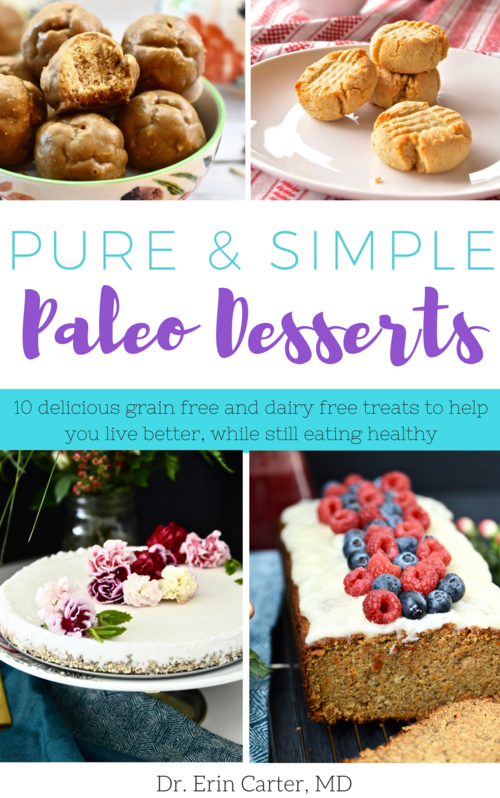 Well, as the title implies it is a cookbook with 100 delicious grain free, gluten free and paleo style recipes. But it is also so much more! 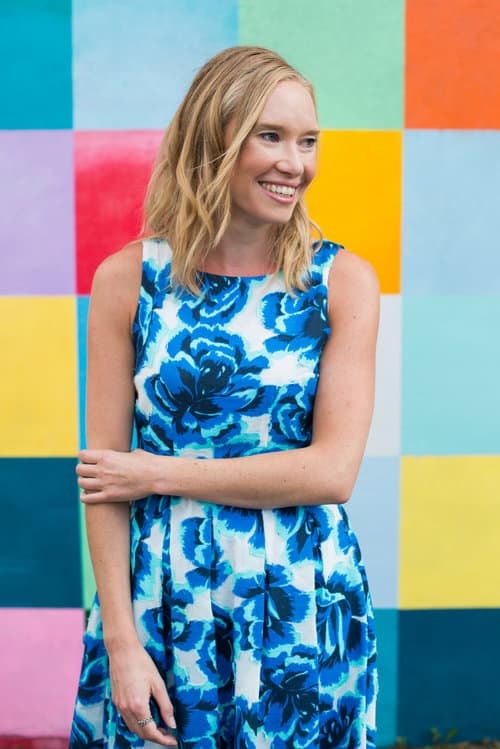 The book opens with an introduction where Hayley emphasizes the importance of eating real foods, and shunning the trend for low fat-highly processed ones. She explains that for many people, simply eliminating gluten isn’t enough, and that a grain free diet can truly help you heal from the inside out and achieve optimal health. For her, a grain free diet helped heal her vitiligo, an autoimmune condition that affects the skin. This is the reason why she started her blog, Health Starts in the Kitchen. The first chapter of the book outlines exactly why going gluten free isn’t enough. Hayley explains how our ancestors evolved on a hunter-gatherer type diet of animals, nuts, seeds, leafy greens, tubers, roots and seasonal fruits and vegetables. It was not until the last 10,000 years, and especially during the 18th and 19th centuries that grains became a part of the human diet. Along with the dramatic increase in grain intake in the last few centuries there has been an associated increase in obesity, autoimmune diseases, heart disease, cancer and diabetes. There are many reasons why grains are problematic including the high lectin content, which can damage the intestinal lining causing leaky gut and inflammation as well as preventing your body from absorbing the vitamins and minerals in the grain; the acidity, which can cause stress on the kidneys, liver and pancreas; and the high omega-6 fat content which can cause inflammation and associated diseases like diabetes and heart disease. Hayely goes into much greater detail as to why grains are problematic, and debunks many of the “healthy grain” myths that the food industry promotes. If you, or anyone you love is hesitant about eliminating grains from their diet, they need to read this section of the book. I promise she will convince you to change your eating habits, or at least to give it a try! The next chapter details exactly how to embark on a grain free, real food based diet. Now that you know all the problems associated with grains she outlines exactly which foods are safe to eat and which are not. 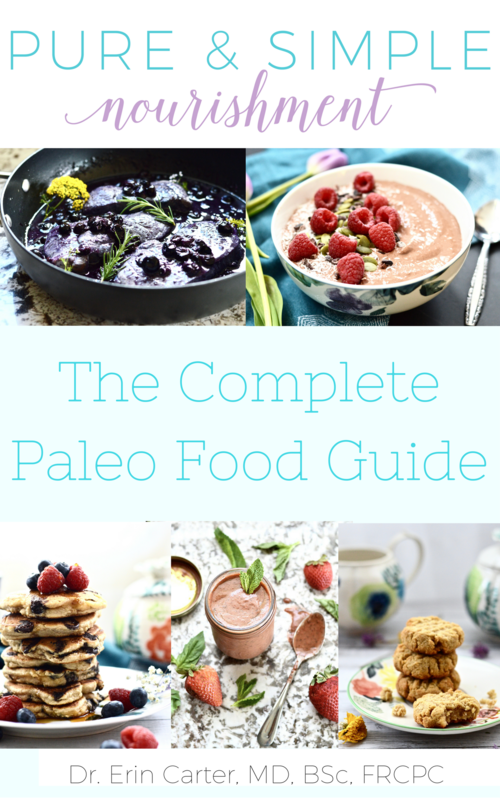 She provides a guide to help you stock your pantry with grain free, real foods. Everything from safe starches to highly quality fats. She also discusses the dangers of genetically modified foods, processed foods and toxic fats, and how to avoid these common food sources. Is your moth watering yet? Don’t some of those dishes sound amazing? 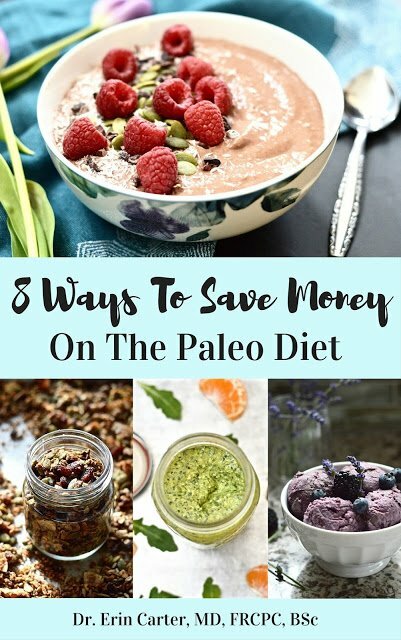 A few other highlights of the book include Hayley’s tips for eating out and how to survive party situations, the allergy free substitutions section that provides great tips on swapping most unsafe food items for ones that are grain-free friendly and the resource section that provides information on where to find the best grain free foods online. Overall Without Grain is not only a great cookbook, but a great health resource to add to your home health library. I would highly recommend it to anyone looking for dietary advice to improve their health. Because remember, food really is medicine! If you are interested in Without Grain you can find out more by visiting here. 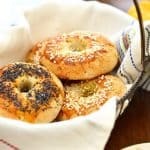 And scroll down below to get the Grain Free Bagels recipe. 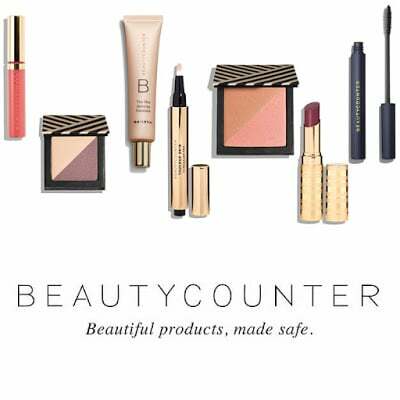 As always I would be thrilled if you visited my social media pages on Pinterest, Instagram and Facebook! Preheat the oven to 350°F (180°C, or gas mark 4). Line a baking sheet with parchment paper. In a large pot over high heat, bring about 4 inches (10 cm) of water to a boil. Add a pinch of sea salt. In a large bowl, combine the flour, starch, salt, and baking powder. Add the water, vinegar, and honey, and mix well. Divide the dough into 6 to 8 equal portions. Dust your hands with additional tapioca starch and roll each section of dough into a ball. Flatten the ball and use your finger to push through the center to make a bagel shape. 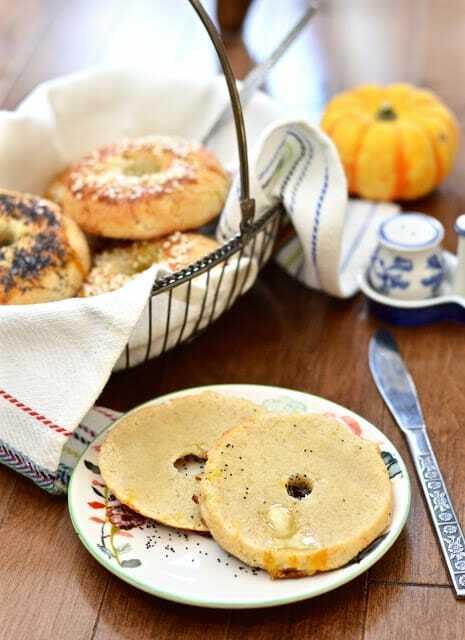 Place each bagel onto the baking sheet. Working in batches of 3 or 4 bagels, carefully place each bagel into the boiling water for 1 minute (or until they float). Using a slotted spoon, remove them from the water and place them back onto the baking sheet. Bake the boiled bagels for 10 minutes. Remove from the oven, brush with the beaten egg yolk, and top as desired. Return to the oven and bake for an additional 10 minutes. After baking for a total of 20 minutes, increase the temperature of the oven to 425°F (220°C, or gas mark 7) and bake for 5 additional minutes, or until lightly browned and crispy. Transfer the bagels to a rack and allow to cool. Mix the cream of tartar, baking soda and arrowroot starch together and store in an airtight container.